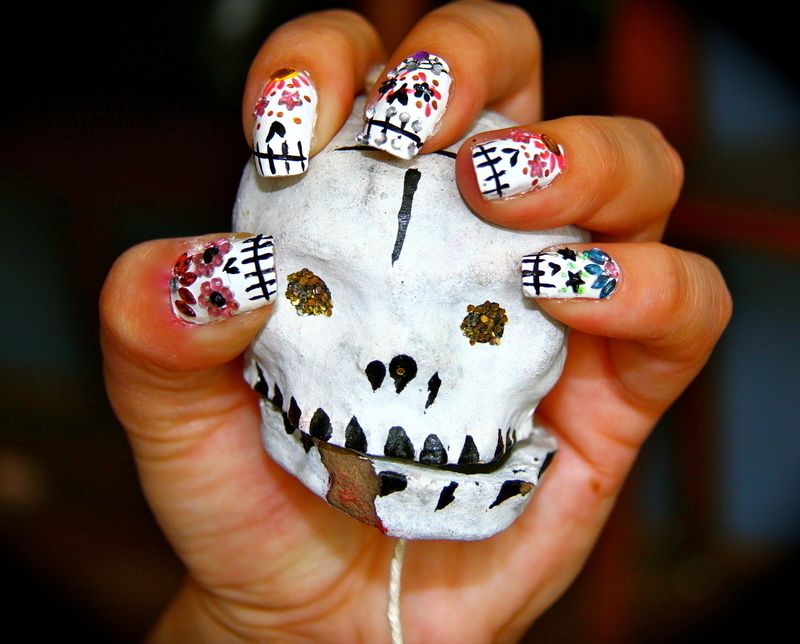 Skull decorated nails another creation for women who enjoy news and authenticity. A look stripped and that comes to please some more strong and intense styles. It is used more in people with a more urban lifestyle as the rouqueiras. 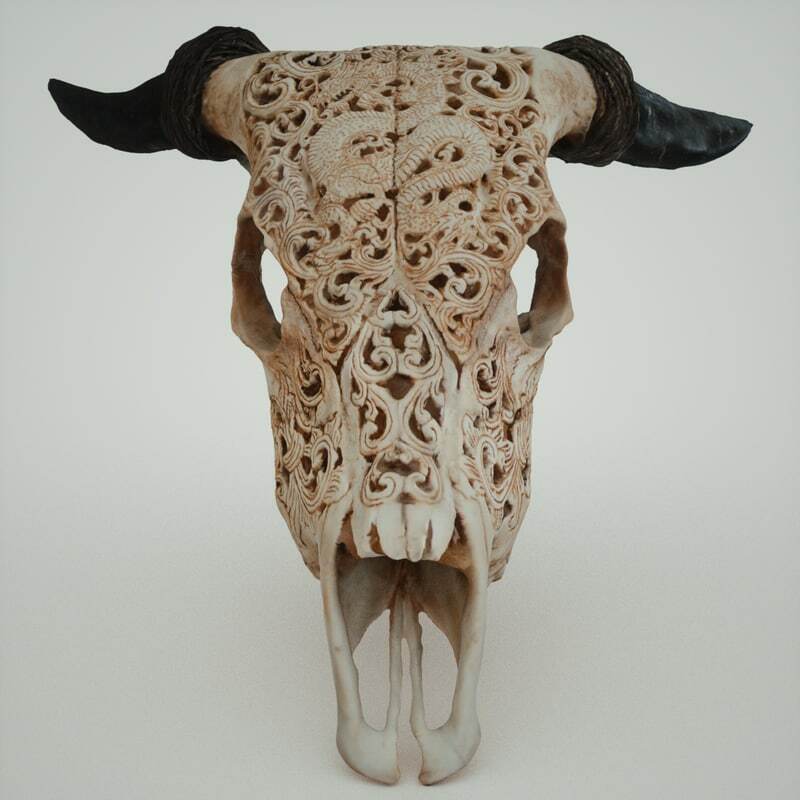 The skulls are symbols and not always illustrations of human skull or skeleton is well regarded for being strong and intense, nor are all women who adhere to this style. 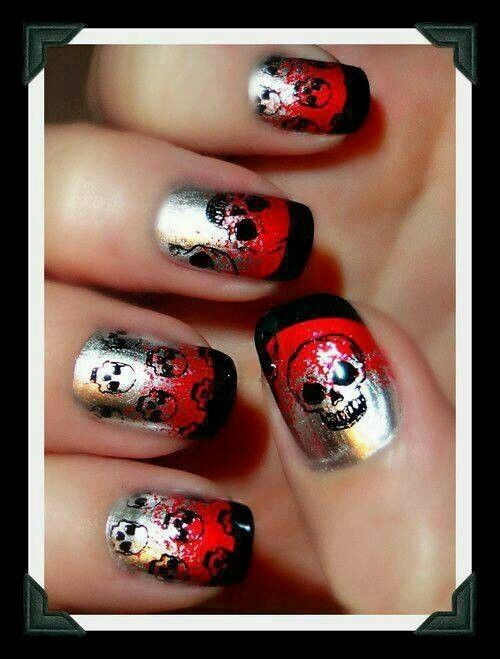 Normally the use of skulls indicates a very big passion for style Rock ‘n Roll skull and nails should be used only in more casual events and do not have large formalities. 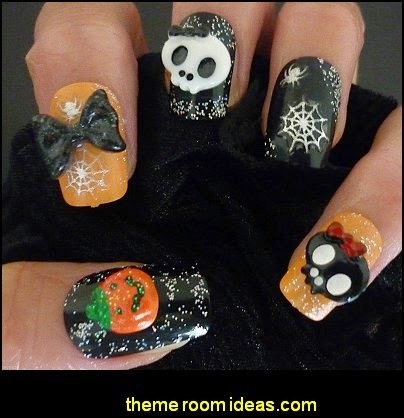 Are the nail templates ideal for who want to celebrate your Hallowen costume parties or whose theme is terror. 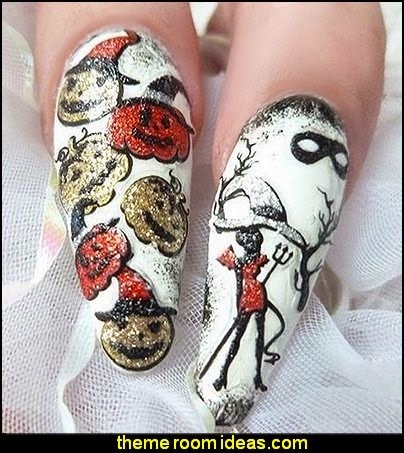 There are nowadays many ways to decorate your nails that do not require much sacrifice the stickers and stamps help in time to do the drawing. 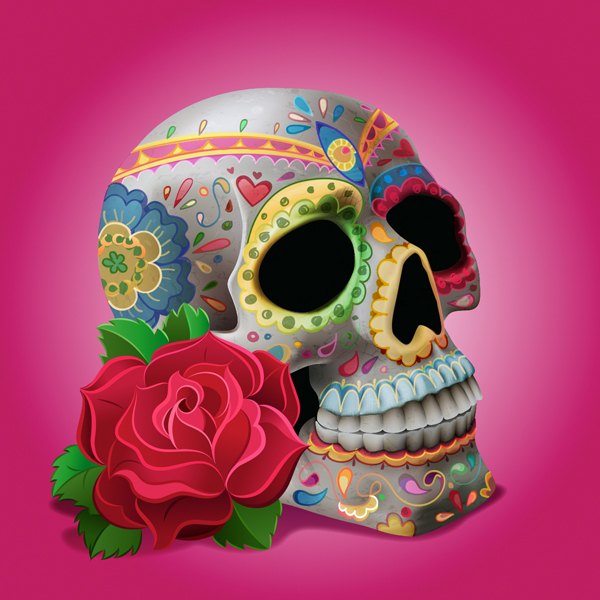 There are many models of skulls in films increasingly modern and easy to apply. 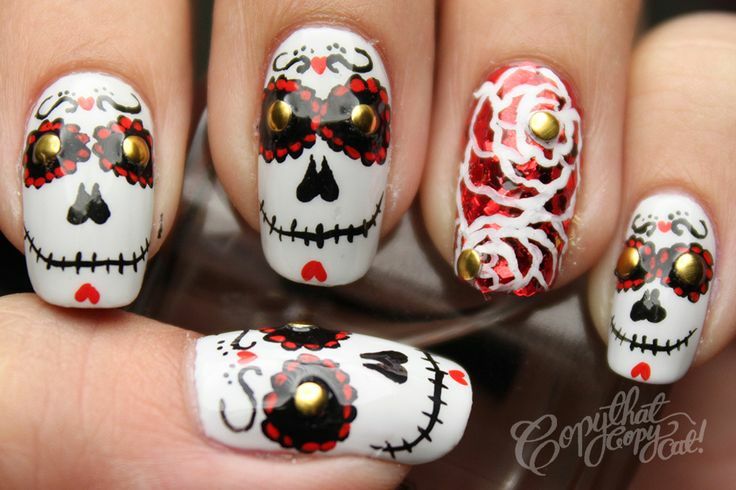 Are several ways to make the nails skulls decorated the most common is the bottom with black enamel with white skull or vice versa. 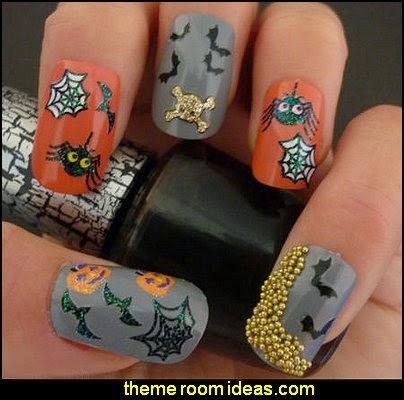 In different creations can use the color metallic gray with pink or black. 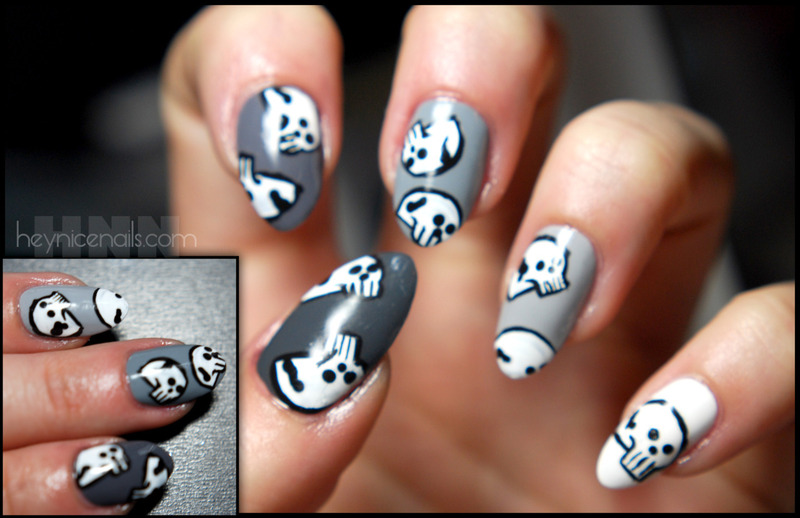 The Nail Art can be used in a nail only where only a nail has the skull and the others are smooth. Put a small amount of silver enamel on a smooth surface, then dampen the fine brush on the glaze. 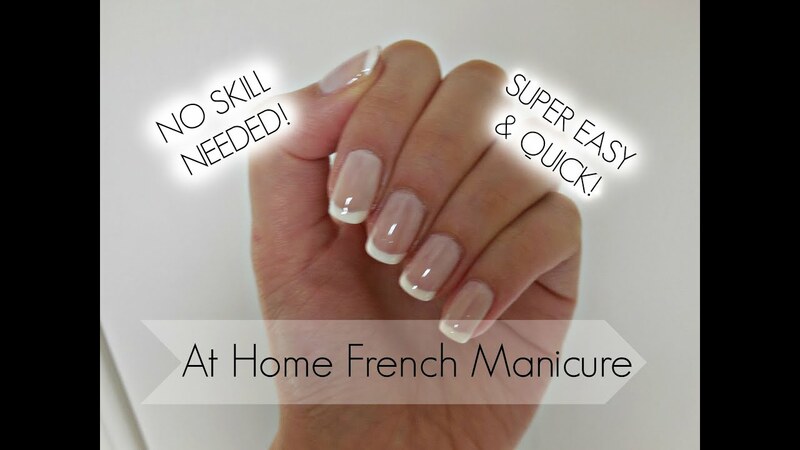 To make bones, trace two opposing diagonals on the nails, forming an X at each end of the strokes, put the brush lightly to make the bone detail. 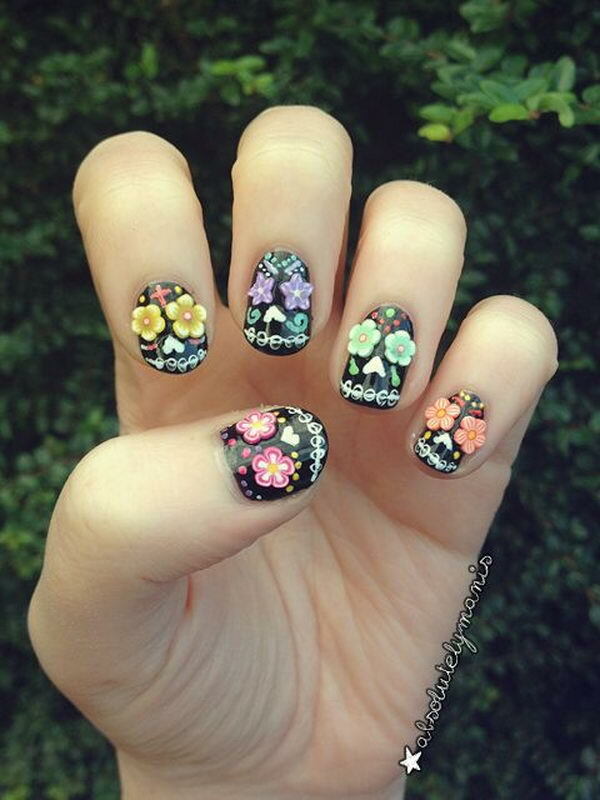 Repeat the process on all the nails painted black. 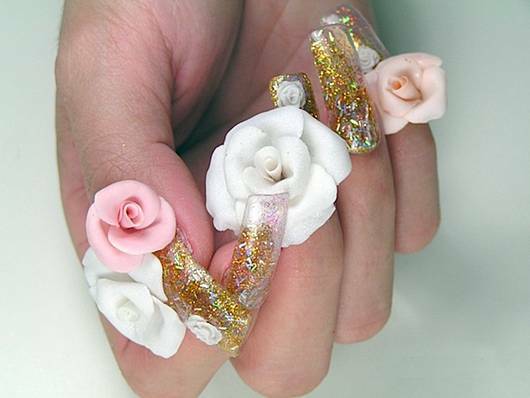 In silver painted nail, the finish is inverse, i.e. The skull skull should be traced with black enamel. Do the same procedure, by adopting thin enamel. Made the skull, use enamel Silver into the details that represent the eyes and teeth. Finish with a layer of base with gloss. 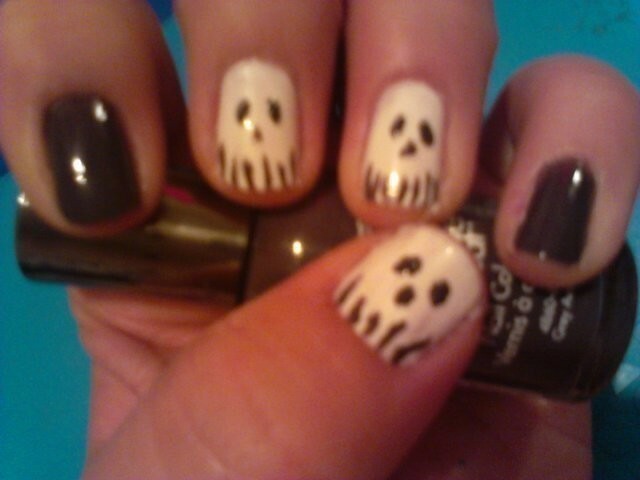 Below video of how to do Nails Decorated Skulls. 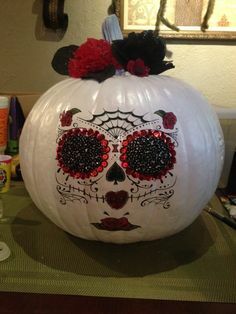 Sugar Skull Pumpkin | Happy Fall Ya’ll!